Beat the yolks and whites of 6 eggs separately. Add ½ cup of sugar to the yolks while beating. Add ¼ cup of sugar to whites after beating until very stiff. Next, mix egg whites with yolks, and stir in 1 pint of cream and 1 pint of milk. Add a pint of Bourbon and 1 oz of Rum, and stir thoroughly. 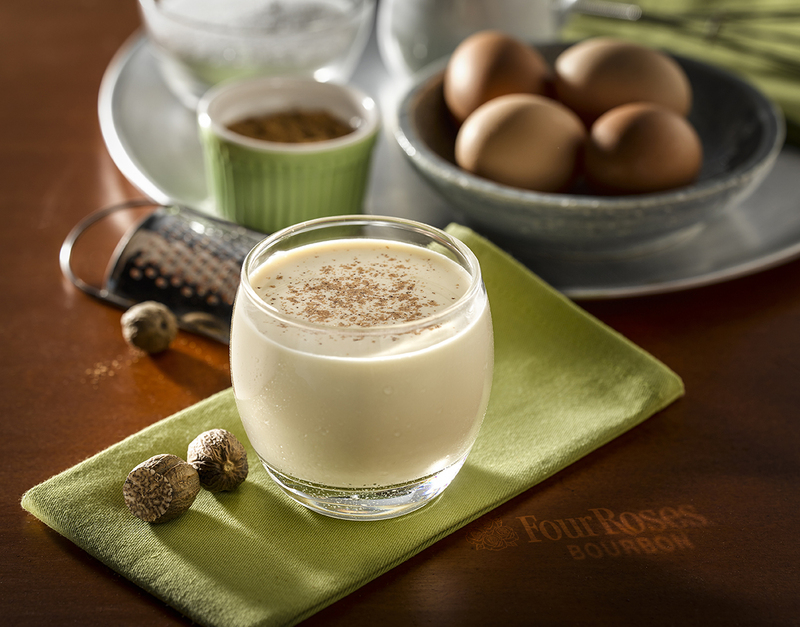 This recipe yields 5 pints of the grandest Eggnog ever ladled into a cup. Serve cold with grated nutmeg. Beat the yolks and whites of 6 eggs separately.